it’s been a good year for elderberries. One of the plants I’m going to miss most on the allotment is the huge elder tree which has provided me with a good crop of flowers in spring and berries in early autumn. Fortunately there are numerous foraging opportunities within a stone’s throw of home as I have no room for an elder in the garden. Since writing about elderberry cordial and pontack I’ve discovered the delights of elderberry tincture, which is – if anything – even easier to make. 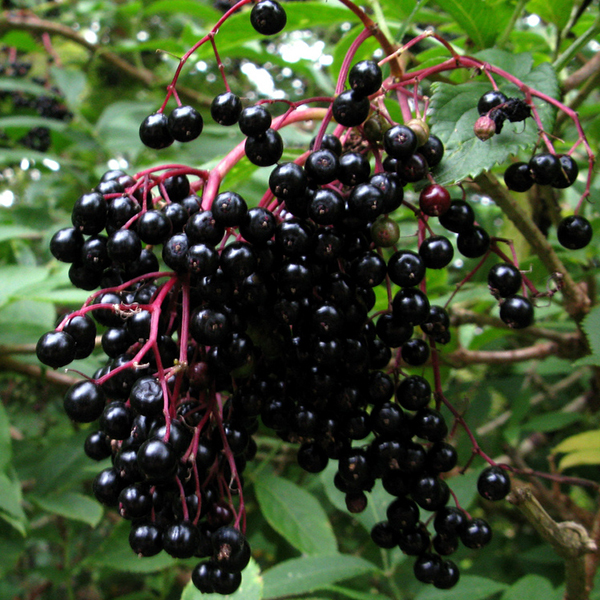 Elderberry tincture is a delicious homemade medicine which can be taken when you feel a cold or virus is about to take hold, making use of the plants antioxidant, anti-bacterial, anti-inflammatory and pain relieving properties. Strip the ripe berries off the stalks into a glass jar and cover with brandy. Leave for two weeks, shaking every day. Then strain the mixture through a sieve lined with muslin, bottle up and label. Take 1-3ml 3 times daily as required.